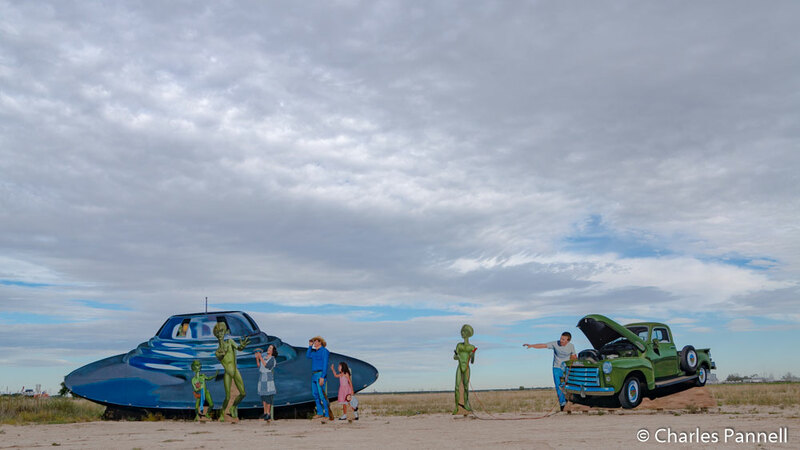 Although Carlsbad Caverns draws visitors from around the world, a lesser known attraction in the park’s namesake city is also worth a visit while you’re in the area. 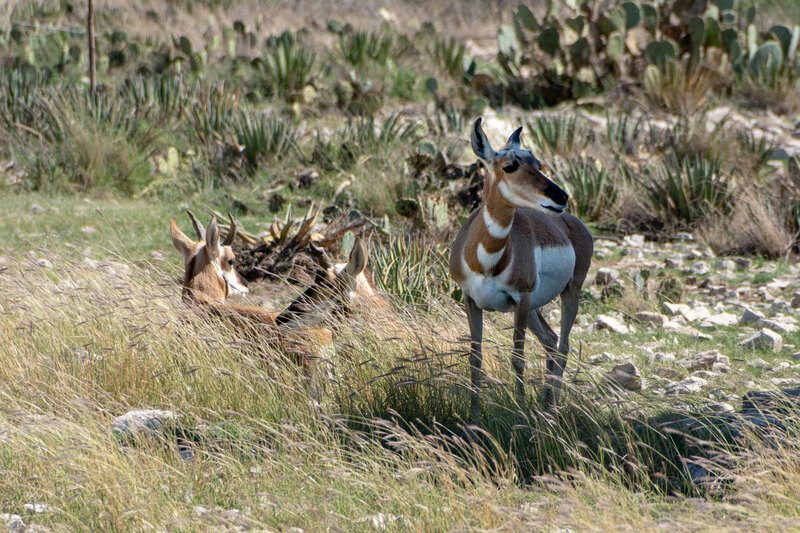 Located 25 miles from the poplar national park, the Living Desert Zoo and Gardens (www.emnrd.state.nm.us/spd/livingdesertstatepark.html) showcases natural wonders of a different kind — the flora fauna of the Chihuahuan Desert. 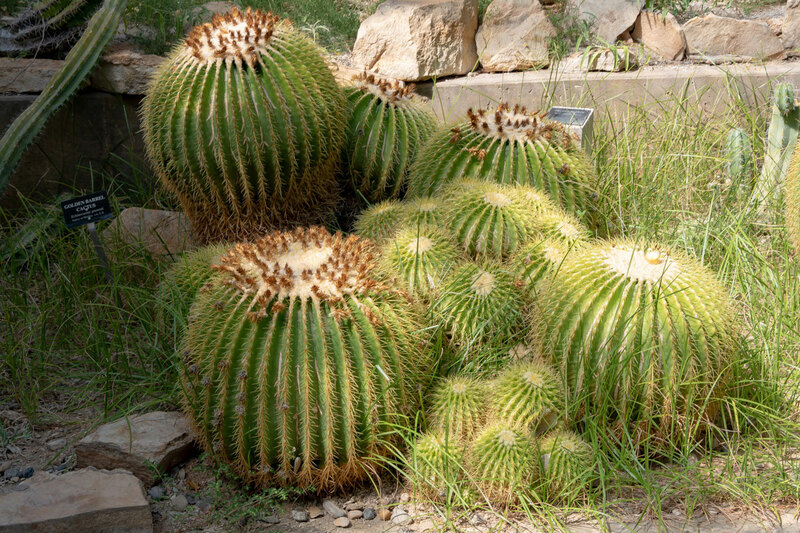 And although the desert can be a harsh, brutal and sometimes inaccessible environment, the Living Desert Zoo and Gardens offers wheelchair-users and slow walkers an accessible peek at this diverse desert ecosystem. The Living Desert Zoo and Gardens is the best of both worlds, as this state park is a hybrid cross between a botanical garden and a zoo. With over 40 animal species and hundreds of unique plants, this accredited facility presents a comprehensive overview of the Chihuahuan Desert. All of the animals in the park are either rescued or captive born, and they are unable to be released in the wild. And the mission of the facility is one of ongoing education and preservation. There’s accessible parking in front of the zoo, with barrier-free access to the visitor center. Inside there’s plenty of room for a wheelchair or scooter to maneuver around the exhibits, which include interpretive panels, a touch table, a mineral display and even a skull collection. There’s also barrier-free access to the gift shop, and accessible restrooms are located on the side. And although the park is open year-round, if you visit in the summer go early in the day, as the mercury really rises in the afternoon. 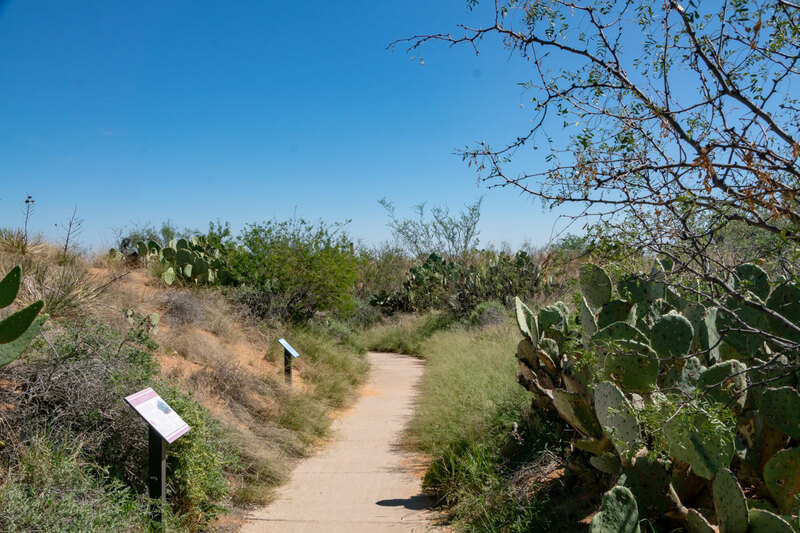 The bulk of the exhibits are located out back, starting with a wide, level sidewalk that leads through the Sandhills habitat, an area of mixed vegetation that’s found east of the Pecos River in Texas. The walkway winds past sand dunes and interpretive plaques, over to a walk-in aviary, which is home to hawks, eagles, owls and a roadrunner. Although there’s level access to the aviary, some manual wheelchair-users may require assistance, due to the gravel surface. 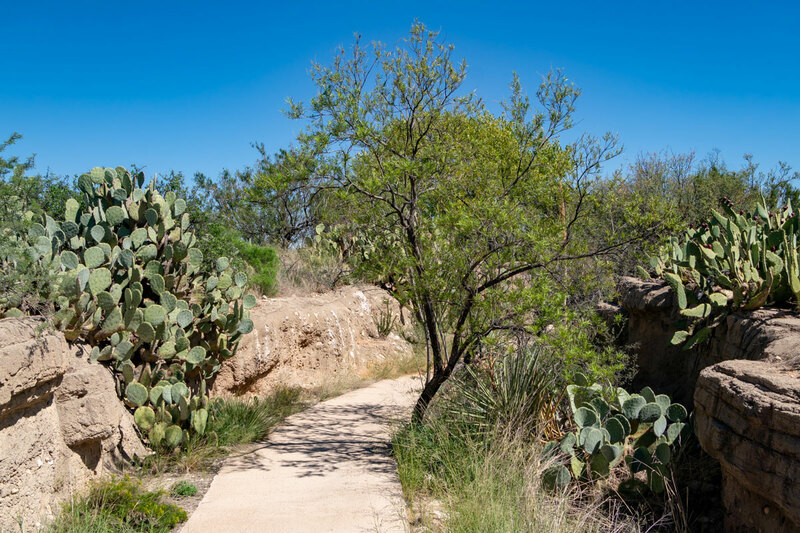 The accessible pathway continues past the aviary, through the Gypsum Hills habitat, which is covered in sedimentary rock from an ancient Permian Sea. This section also has some shaded benches — a rarity in the park — if you need to take a break. Next up is the Desert Uplands, a habitat that’s found near Carlsbad, and is dotted with ocotillo, yucca and desert shrubs. After that, the accessible trail continues through an arroyo populated with javelinas, and winds around to the Pinon Juniper Zone. This habitat is found at elevations from 4,500 to 6,500 feet, and is inhabited by the endangered Mexican Wolf. There’s also barrier-free access to a small nocturnal exhibit, that features interactive exhibits that explore the adaptation of plants and animals that live in the dark. Bear left after you exit the nocturnal exhibit, past the bear and wolf enclosures to the reptile house. There’s barrier-free access to this popular exhibit, which houses a variety of rattlesnakes and a gila monster. The patio area also offers a commanding view of Delaware Basin, McMillian Lake and Capitan Reef. The accessible trail continues past the waterfowl pond and prairie dogs, and leads around past the bison, dear and elk enclosures. At this point the inaccessible portion of the trail leads down a steep hill; so wheelchair-users and slow walker will need to keep to the right and head past the nocturnal exhibit back to the visitor center. After that, follow the trail past the desert pond then turn right to access the excellent succulents of the world exhibit. There’s level access to this greenhouse, which has an impressive collection of native and exotic succulents. In the end the accessible route is just under two miles long; but if you can’t manage the whole length, you can always turn around when you get tired. It’s also a good idea to bring along some sun protection and bottled water. Finally, if you’d like to eat in the park, then pack along a picnic lunch and enjoy it at the accessible tables next to the visitor center. It’s the perfect way to end a Living Desert Zoo and Gardens visit.